Ok, so the world has seen and been wowed by the royal wedding dress. I must admit, it is stunning. 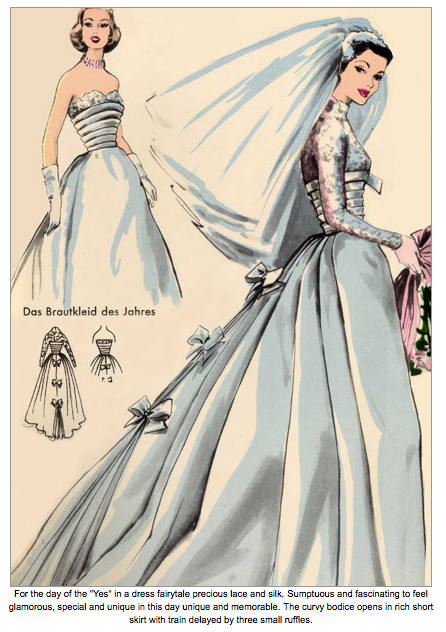 I have been sort of falling in love with the images of the Grace Kelly and 50’s era gowns popping up all over the internet, so I was not at all disappointed by the gown she chose. Everything was just perfect – it was fitted and modern, but classy and elegant, with a 6 foot train – enough for the grandeur of the cathedral with not too much excess that would have been bashed in these current times of hardship. The tiara was perfection. It was totally worth losing sleep over. The only sad part – the American commentators made me ashamed; the British commentator guests had interesting intelligent things to say (discussing the black sheep of the royal family, purposeful political slights on the guest list, and the history of all of the amazing things in the cathedral, the carriages, and the palace), while the Americans…. ugh we sounded so dumb and superficial talking about nothing but the dress, jewelry, and the garage for the carriages. Garage, really? Sigh. In any case, a spectacle well worth seeing. So now, of course, being a superficial American, I must examine and dissect the gown. The official royal description is quite amazing. 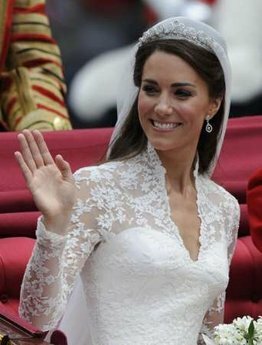 Lady Catherine the Duchess of Cambridge in her wedding gown. 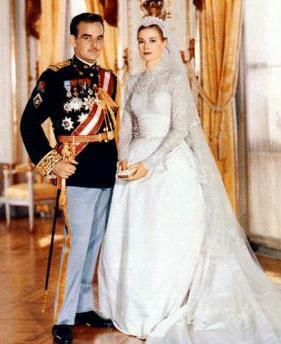 Most people have compared the gown to the one worn by Grace Kelly, but there are some differences. The iconic Grace Kelly gown. On Lady Catherine’s gown the lace is more sheer, the neckline much lower, and the skirt is less of a poofed bell shape. 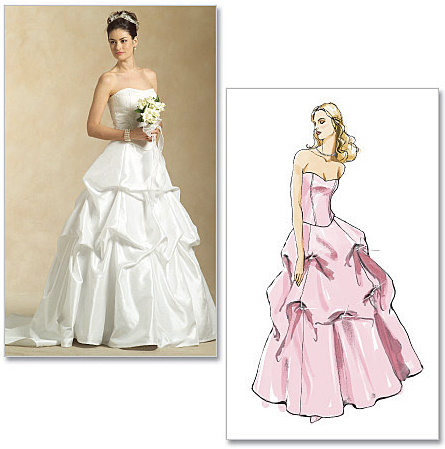 The resemblance is there, but Catherine’s gown is much more sleek and modern. I actually find the overall shape of the dress to be more similar to the two Burda Italia History of Fashion pictures that I posted previously. The shape of the bodice and skirt more closely resembled this gown. Mashed together with the sleeves and train from this one. All in all, I don’t think there are any current patterns with any of the major pattern companies that quite capture this shape. I expect that will change when the fall collections come out. 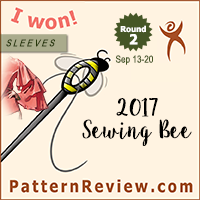 In the meantime, those with large vintage collections are probably in luck, while for the rest of us it might be possible to Frankenpattern if one starts looking into costume patterns where there are a great many more options for full length skirts. Indeed, I think that some of the best options may be offered from McCall’s catalog. 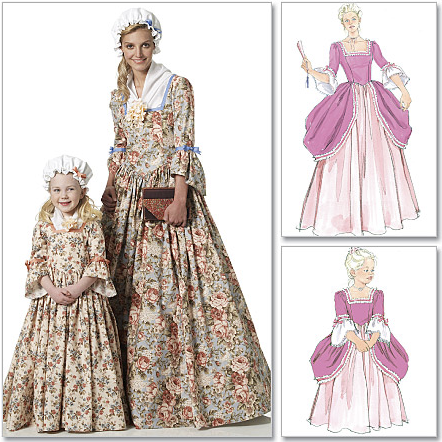 M5321 – The bodice part has a similar shape to Catherine’s gown. M6139 – the skirt is actually a very similar shape. Ok, so while the skirt on M6139 is not as architectural as the one worn by Catherine, it is one of the few that would have a similar silhouette. 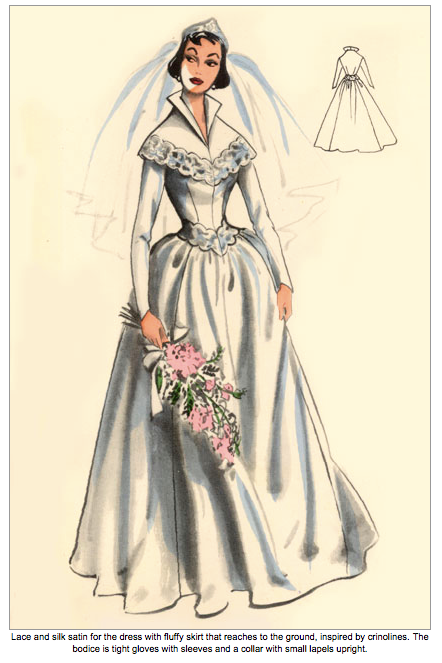 I suppose it might even be possible to use the collar and sleeves to acheive the lace overlay from the original gown, if they were made smaller and actually fit the the person wearing the gown. 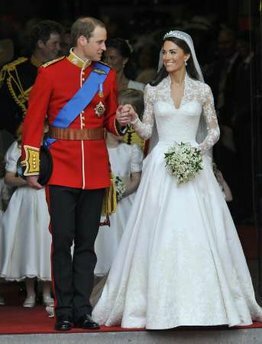 Not that I am needing a wedding gown at any point in the near future, or that I would be copying Catherine’s. But it is fun to see what is out there and what options we as home sewers might have in comparison to the commercially available gowns. 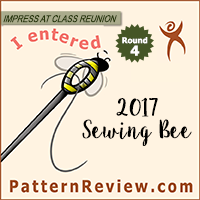 In any case, I expect this event to change the styles and offering of gown makers and pattern companies alike in the near future.